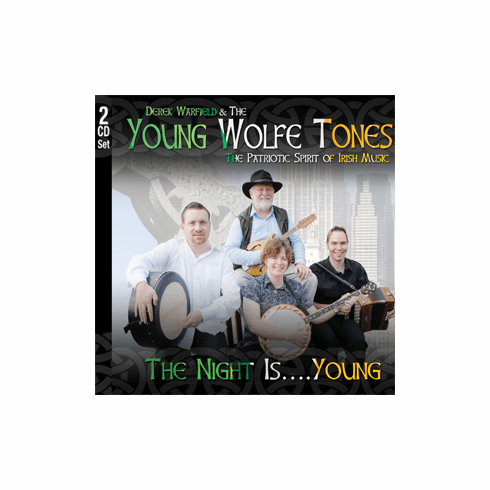 The Young Wolfe Tones are Irish music tradition the way it�s meant to be. Derek Warfield has enjoyed a lifetime of success as a founding member of the legendary Wolfe Tones and as a solo artist. His love of musical tradition is such that a way to pass it on was in order. So a new day dawns on The Wolfe Tones legend, The Young Wolfe Tones. This double CD set is a combination of classic Irish crowd pleasers and a showcase of pure musical talent. It is tradition being �handed on� as the Irish say, but most of all it is just plain fun. Averaging over 200 gigs a year Derek and The Young Wolfe Tones it should be easy to take in a live show in a city near you.